When I was about seven years old, I wanted to give my mom a really nice Christmas gift. I remember feeling guilty that she gave me such nice gifts (like dolls and games and new clothes) – and all I ever gave her was necklaces made out of yarn and buttons, pictures that I had colored, and other simple homemade gifts. Effortless style is well within your reach, even if it seems like you’re always rushing out the door. Try these 10 simple beauty tips and tricks to streamline your routine. Simply opt-in below to have the Cheat Sheet sent straight to your inbox! GET MY BEAUTY TIPS NOW! In the weeks before Christmas, I remember asking her what she wanted for Christmas. She replied, “Oh Haley honey – just make me something homemade! Homemade gifts are the best gifts”. Although she said it with conviction, I didn’t buy it. Why would a homemade gift be better than getting something shiny and new? What could I possibly make that would compare to something purchased in a store? Today, 20-some years later, I know exactly what my mom was talking about. As I grow older, I realize ultimately how little satisfaction material things give me. I get satisfaction from making gifts or food for them. Usually this involves baking something rich and decadent, but a good craft of DIY project can also be fun and is much appreciated by the recipient. 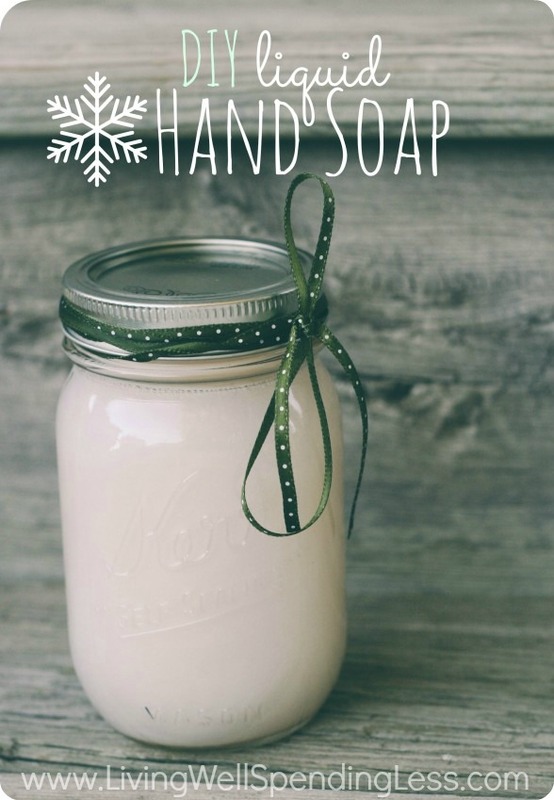 This homemade hand soap is really fun and easy to make. I found the idea in Richard Blais’ cookbook, Try This At Home: Recipes From My Head To Your Plate. This is one of the most bang-for-your-buck homemade gifts out there. A travel-size bar of soap turns into a huge batch of liquid hand soap. Although the texture of the liquid soap isn’t exactly like the stuff you buy in the store, it cleans your hands just the same. And you can customize it by adding essential oils. Give it a try for yourself. Or better yet, make a batch, put it in a pretty soap dispenser, and give it away as a gift. 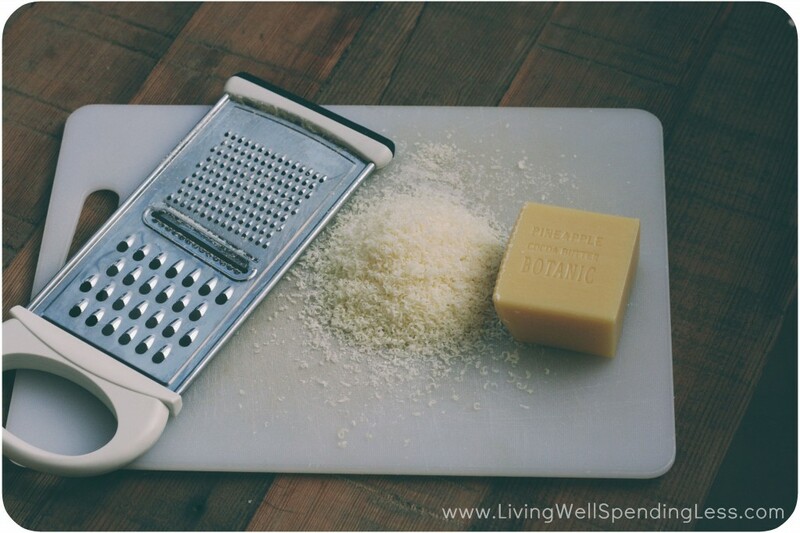 Step 1: Using a cheese grater, grate the soap into a large bowl. Step 2: Bring water to a boil over high heat. Add soap and stir until dissolved. This will take about two minutes. Remove the mixture from heat and allow to cool, stirring every five minutes or so. Step 3: Stir in extract, if using. Pour soap into soap dispenser. If the soap is a little too thick for your liking, use a hand mixer and beat until smooth. If you want a smaller amount of hand soap, simply use a half gallon of water and a travel size bar of soap. This recipe is very adaptable. I hope you have fun making this liquid hand soap, and I hope your recipients love it. Make your gift extra special by putting it in a pretty soap dispenser and placing it in a sparkly gift bag. And if you decide to keep it all for yourself – more power to you! Enjoy. 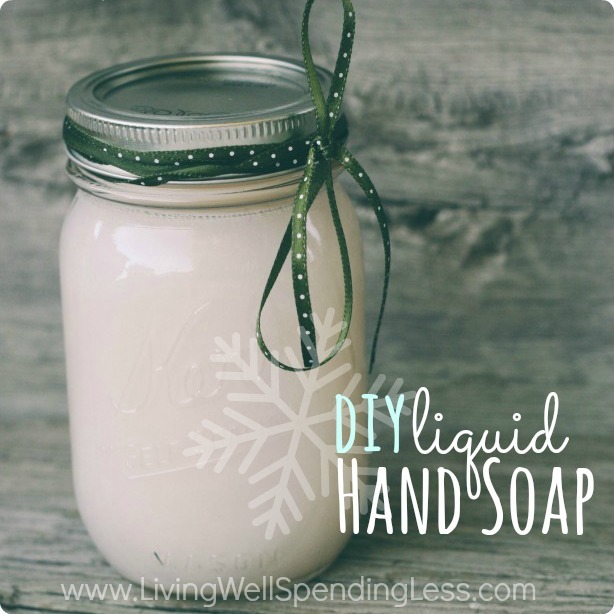 Have you ever tried to make your own liquid hand soap? 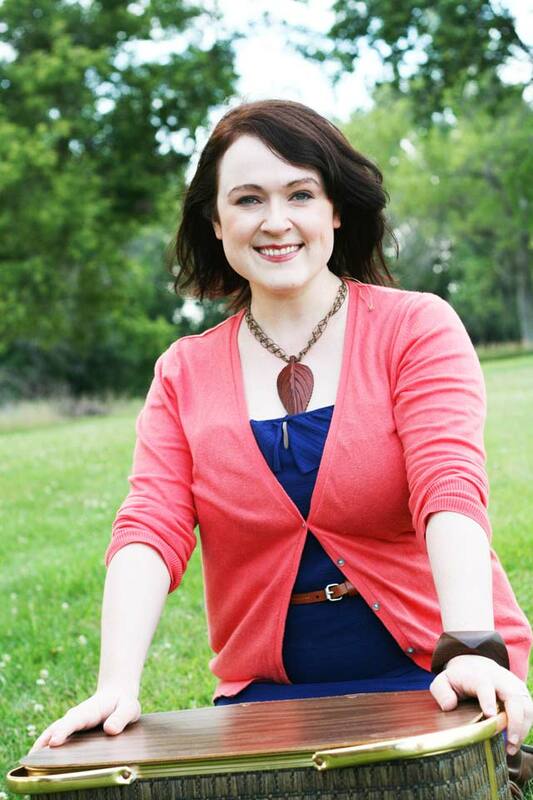 Haley is the author of Cheap Recipe Blog, which features creative and low-cost recipes and money-saving tips. Haley’s pride and joy are her “$10 Food Day” posts: Four recipes (breakfast, lunch, dinner, and a snack), enough to feed a family of four, all for less than $10 – for the entire day. This is amazing! I can’t wait to try it! Thank you so much!!! This looks like a great idea. 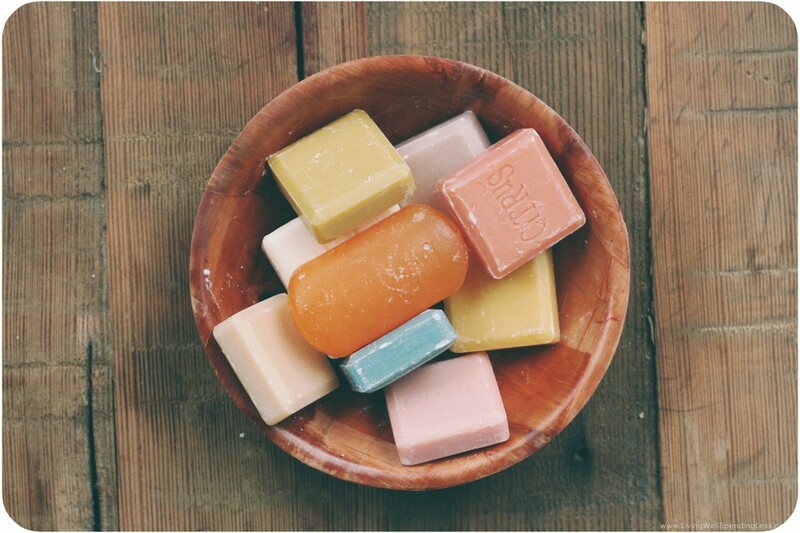 Do you have any tips on what kind of bar soap to use, or what types should be avoided? Or will anything work? E.g., my son’s dermatologist wants him using only Dove Sensitive. Do you think I can make that into a liquid soap? I have done this for years and years for my face. I am a “Dove” girl, but got tired of keeping a messy bar on my sink to wash my face. Now, when the shower bar gets too small to handle, I just throw it into a pump bottle (it has a wide opening), add a little hot water, and stir. Dove is soft enough that you don’t have to grate it and the little bar just melts. Perfect for my nightly face washing! This looks lovely. Beautiful pictures, too. Why does it have to be a unscented bar. Can’t you use one like Caress or others that have a scent? Hey Becky – you can totally use scented soap. But I will say – the soap becomes so diluted with water that barely any scent from the bar soap will remain. If you want a scented soap, I would recommend adding some essential oils. 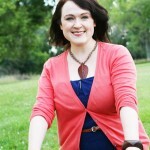 Anna – I have never tried making this with Dove, but I can’t think of any reason why it wouldn’t work for this project. From my experience, this recipe is pretty much foolproof, so I would be surprised if Dove soap affected the end product. About the type of soap: I used a small bar of soap from a hotel for the first batch, and some scented guest soap for the second batch (one of those small square bars from the photo above). From my experience, virtually any kind of bar soap will work for this recipe. If you’re using a small bar of soap (like the kind from a hotel), just make sure to reduce the amount of water you use. Good luck! Great tutorial, Ruth. Thank you! I haven’t bought liquid hand soap in a long time. My current is using cheap shampoo that I’ve had forever, doing about 25/75 shampoo to water, and filling a large hand soap dispenser that I’ve had. Everyone once in a while I add a little shampoo and a lot more water. As soon as my cheap shampoo stock is done, I will totally do this. Thank you so much! Oh me too! It’s so watery so added another half bar ???? ?letting is sit now.. I used one bar of soap and the amount of water called for, but it tuned out very watery. Any suggestions? 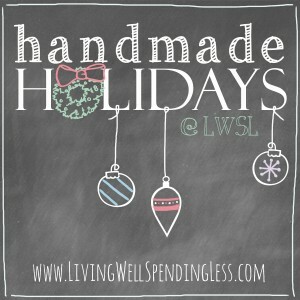 I hope I can get my peppermint liquid soap to work out so I can give a combo gift! Any advice would be appreciated. I tried making liquid soap yesterday. So far, it is not turning out right. I grated about 9 ounces of soap, from a bar of Jergens and some little hotel soaps. I boiled 9 c of water. At first, it was watery, when I stirred it, and seemed ok a half-hour later. When I checked a couple hrs later, it was gelatinous! Are you supposed to keep a lid on it? Or pour immediately into dispensers? I heated up the pot and added 2 3/4 c water, to hopefully thin it. Same thing happened. I tried using electric mixer. And, I heated again, adding 2 1/2 more cups of water; let sit overnight. This morning, gelatin! Please help! I just put scrap pieces of soap in a container add water and some pony beads. Let. Sit and it turns to liquid. The container has a pump. Pony beads are in the craft dept. What do the pony beads do to aid making soap? The soap will turn gelatinous over night. It might depend on the brand on how “watery” it ends up being. I used 4 oz of soap, which I grated, then I added it to 1 gallon of hot water. Still very thick, the next morning, which I thought was okay, because as long as I can pump it out the pump, it’s good right? 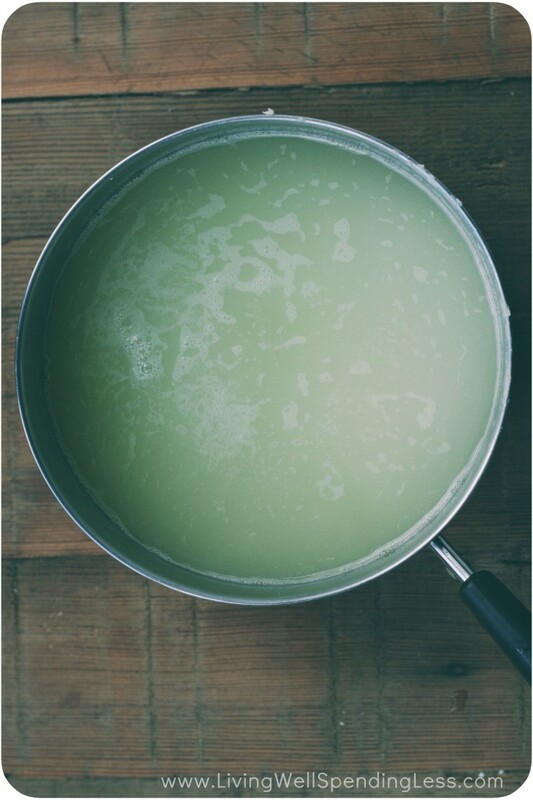 I’ve made liquid soap a few times now, and this seems to be the way it goes. I like Lisa’s idea of the scrap soap and the pony beads. Clever. can this hand soap recipe convert to foam soap ? The foaming effect is a result of the type of soap dispenser you use, not how the hand soap is made. Some liquid soap dispensers have a mechanism within the pump that aerates the liquid soap as it passes through, so that it comes out as a foam, not a liquid. Kroger sells Method liquid hand soap and you can see through the clear plastic of the bottle that it has a more complex pumping mechanism inside it than the cheaper brands have. The liquid soap in the bottle is clear but when pumped, comes out as foam. My handsoap is slimy. What can I do? He is the founder of To get his FREE report: “How To Become The Alpha Dog” go to. People who live here For quite sometime Keep their pets inside. Learn how to use this theme for your own special day. the two, so I have to give him props for not going too far in either direction. loved ones. Then consider yourself one of the few, true internet marketers. I’m relatively certain I will learn lots of new stuff right here! Yes! Finally something about dog pain. Old-timers wasted very little – we used to take all the ends of soap bars that were too little to use, put them in a quart jar, add water, and shake really well. We used it for laundry, washing the dog, and just washing hands. We called it ‘soap jelly’. To use in a pump dispenser you need to have one that has a fat tube going to the bottom of the bottle. “Method” dish-washing liquid bottles work very well. They are rather large but have a very fat tube inside. Sometimes you have to periodically shake the bottle to keep it from separating. BTW, who cares if it is slimy – after all, it is SOAP, and will clean very well no matter what the consistency is! i tried making this soap, at first it was just soapy water so i added another bar in and left it over night and my liquid became a solid i’ll try to heat it up and then let it cool then i’ll beat it. Yes! Finally someone writes about lawyer code of ethics.